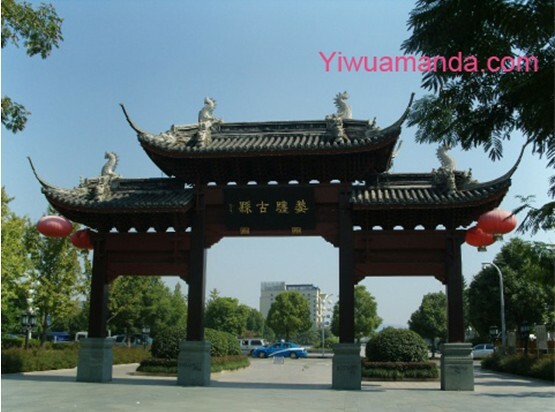 We all know Yiwu is famous for Yiwu International Trade City. But Yiwu International Trade City is a place where do business in the daytime. People in Yiwu need to rest when it is not in the work time park in Yiwu china is a good choice. There are many parks in Yiwu China. Such as Xiuhu park, binjiang Park, the ocean park and so on. Xiuhu Park is located in North Gate Street, Front Street, Yiwu City, Jinhua, Zhejiang. The inherited historical context – Xiuhu Park supporting the creation of a new building, the imitation of the architectural style of the Ming and Qing Dynasties, contrast was built in the Song Dynasty Daan Sita, inherited Daan Pagoda and the historical context of the Xiuhu; at the same time remaining on the west side of the Daan Sitathe water of the status of Xiuhu moderate to broaden and expand eastward to the south side of the tower before, a skylight Taying; the Xiuhu Eight, “combined with the history books gazetteer remember, Stones and control of water, reproduction and explains in a concentrated space. Smoke Temple Xiaozhong night photos the pine shoot sangrakwol, relay floor, painting the bridge department horse, Liuzhou boats Netherlands swing scared gulls, Flower Island Red Cloud Lake Pavilion fish market, so the Xiuhu new vitality. The modern overall green landscape – follow plant diversity in design, plant landscaping, eco-design principles. 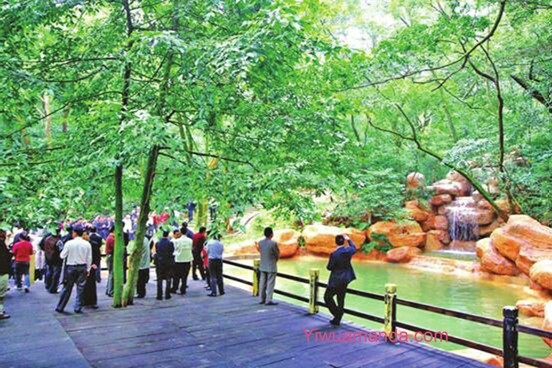 Binjiang Park is another park in Yiwu china Yiwu City, Riverside theme park the Yiwu core Waterfront Landscape with the node, into one of the theme parks and theme parks two. Yiwu City, a theme park in southwest Riverside Pro Binwang Bridge Northeast temporary ZongZe Bridge, north of Riverside North Road, Yiwu River to the southeast, an area of 208,000 square meters, green space for large thematic leisure. Construction is completed in 2005. The park is divided into six scenic areas: landscape water Square shaft or water Huaxi landscape shaft ring lawn plaza, scenic lake water, children’s activities, exchange center, sun bathing.